As there is such a wide range of chandeliers on offer we have created sub categories to make it easier for you to find a particular type of ceiling suspended lighting. A chandelier is a branched lighting fixture (often ornate) hung from the ceiling. Many modern suspended ceiling lights have components in common with chandeliers but do not fall easily in a chandelier category. Please call us if you are hoping to find something in particular and we will happily discuss your requirements with you and lead you to the right chandelier. When once chandeliers were merely multi armed with crystals and shades we are now blessed with a multitude of ultra modern lights that dazzle, mystify and delight our notions of what a chandelier might be. No longer is a chandelier an imitation of the Victorian candelabra (complete with drip sconces) but a far more interesting and adaptable piece of lighting. With the rise of these functional yet funky and unusual lights, which can be seen dangling from the ceiling sof high street stores and trendy bars, we believe they may be something we can only dream about within our home. Thankfully this is not the case! Many manufacturers understand that customers want choice and the way to do that is by creating cheaper alternatives of the more expensive chandeliers so now everyone has the option of adding ultra modern lighting to their home. Choose from LED, cacoon fabric, multi arm ultra unusual, Murano jazzy coloured Venetian glass, twisted wire and much, much more! What Makes Murano Glass so Treasured? I can hear you all asking what makes those oversized and garish chandeliers so popular and expensive. 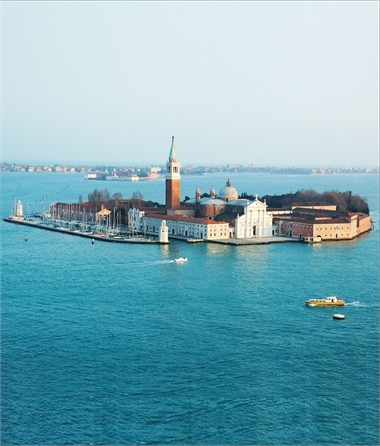 Murano glass is steeped in history and made on the Venetian island of Murano. For years the glassmakers of Murano have led the way in Europe and specialised in unique glass creations, using tools developed in the Middle Ages. In 1291, glass makers were banished from Venice through fears that their then wooden buildings where a fire risk, so off to the island of Murano they went. But it didn’t take long for these talented glassmakers to be the leading citizens of the island. Artisans were granted the right to wear swords and enjoyed immunity from any form of prosecution. By the late 14th Century, the daughters of glassmakers were even allowed to marry into Venice's nobility! Such luxury had just one catch: glassmakers weren't allowed to leave the island for risk of being assassinated or having their hands cut off. With the glass making secrets locked away no other glassware still being produced today has such a rich history and as much artistic value as Murano glass. The Murano glass chandeliers make a perfect addition to those who want a traditional fitting with a modern twist brightly coloured and full of contemporary design. So, now you know the exciting history of Murano glass which one will you buy? 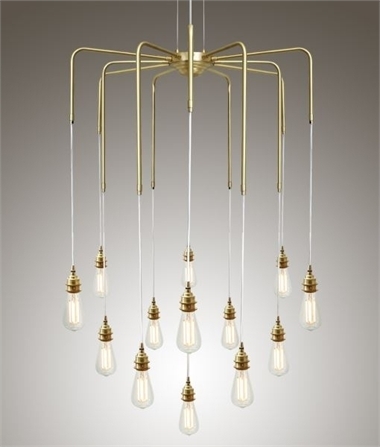 Adam style A neoclassical style, light, airy and elegant chandelier - usually English. Arm The light-bearing part of a chandelier also sometimes know as a branch. Arm Plate The metal or wooden block placed on the stem, into which the arms slot. Bag A bag of crystal drops formed by strings hanging from a circular frame and looped back into the centre underneath, associated especially with early American crystal and regency style crystal chandeliers. Baluster A turned wood or moulded stem forming the axis of a chandelier, with alternating narrow and bulbous parts of varying widths. Bead A glass drop with a hole drilled right through. Bobeche A dish fitted just below the candle nozzle, designed to catch drips of wax. Also know as a drip pan. Branch Another name for the light-bearing part of a chandelier also know as an arm. Crystal Glass with a lead content that gives it special qualities of clarity, resonance and softness – making it especially suitable for cutting. Also know as lead crystal. Hoop A circular metal support for arms, usually on a regency-styles or other chandelier with glass pieces. Also know as a ring. Moulded The process by which a glass piece is shaped by being blown into a mould (rather than being cut). Neoclassical Style Chandelier Glass chandelier featuring many delicate arms, spires and strings of beads. Prism A straight, many sided drop. Soda Glass A type of glass used typically in Venetian glass chandeliers. Soda glass remains “plastic” for longer when heated, and can therefore be shaped into elegancy curving leaves and flowers. Waterfall Concentric rings of icicle drops suspended beneath the hoop or plate. Chandeliers are heavier than any other ceiling light fixture and some of them might require special attachments to the ceiling or may not require any support and can directly be plugged to an electrical box. The earliest chandeliers were used in medieval churches to brighten up large halls and were generally made up of wooden crosses on which candles were placed, from the 15th century more complex form of chandeliers with crown or designs had become popular and by the early 18th century brass chandeliers with long curved arms were seen the homes of wealthy merchants.